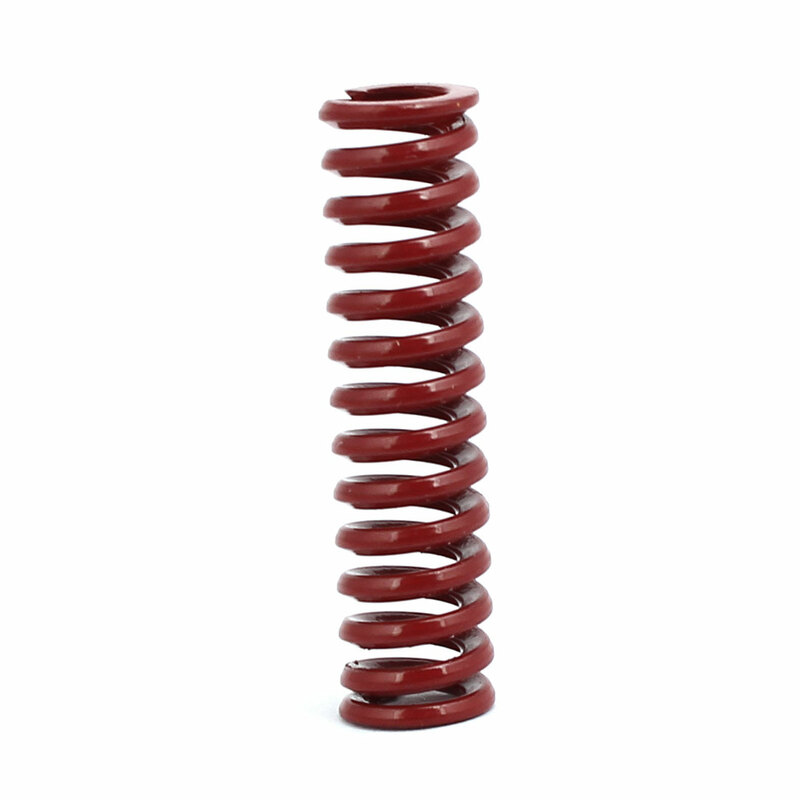 Compression Mould Die Spring, Made of 65Mn Spring Steel Material in Red, with Medium Load. Additionally, we want to tell you the loading grade of die springs in various colors (from lightest load to extra heavy load): yellow, blue, red, green, brown. Red is Medium Load. Outside Diameter: 8mm/0.31"; Free Length: 30mm/1.2"